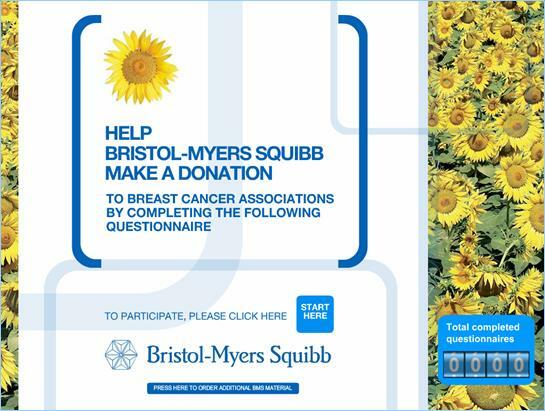 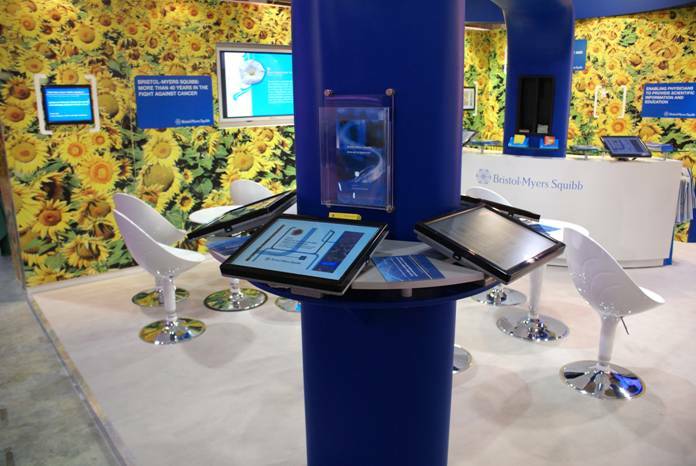 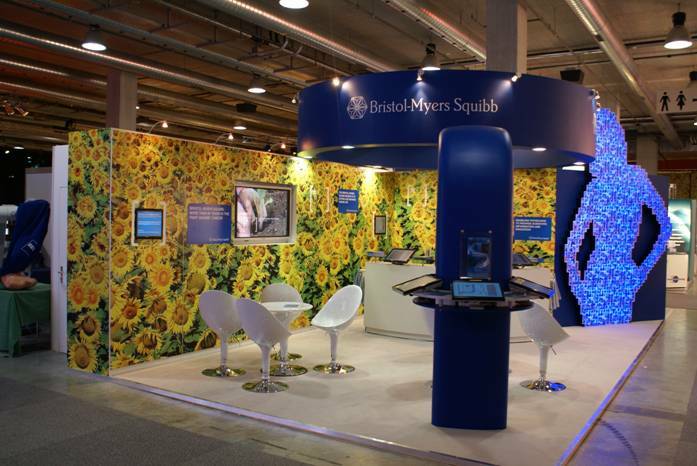 Design of several exhibition stands for Bristol-Myers Squibb to be used across Europe throughout 2007 working together with The Cinnamon Agency. 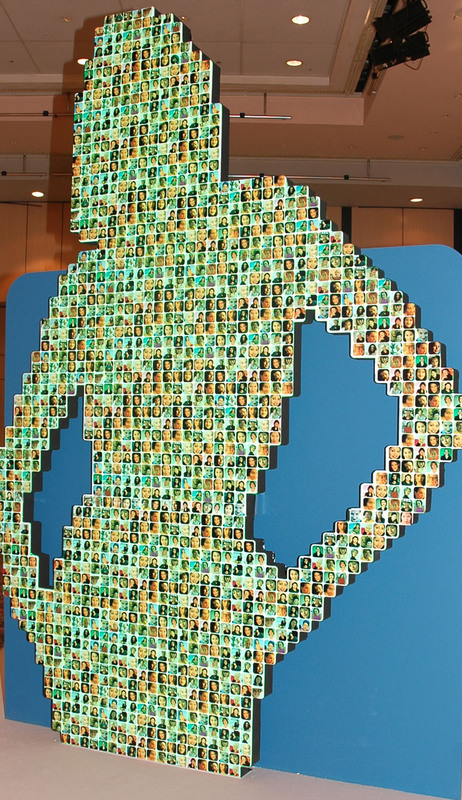 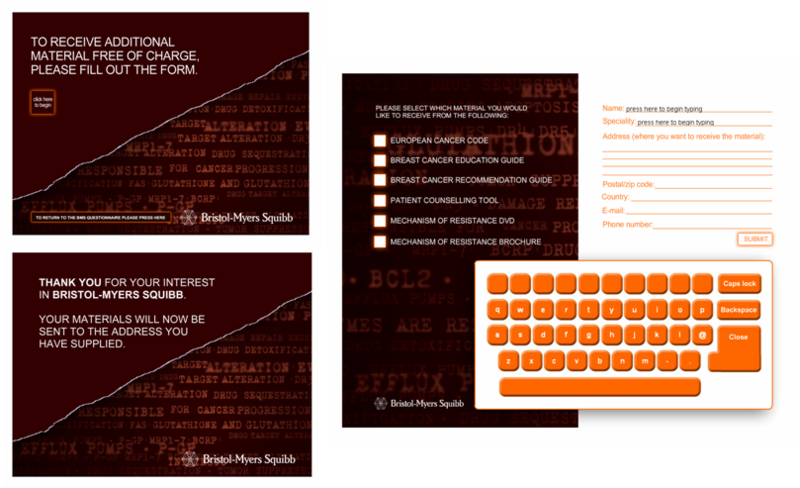 Design of interactive Questionnaire to be used on touch screens on the BMS exhibition stand. 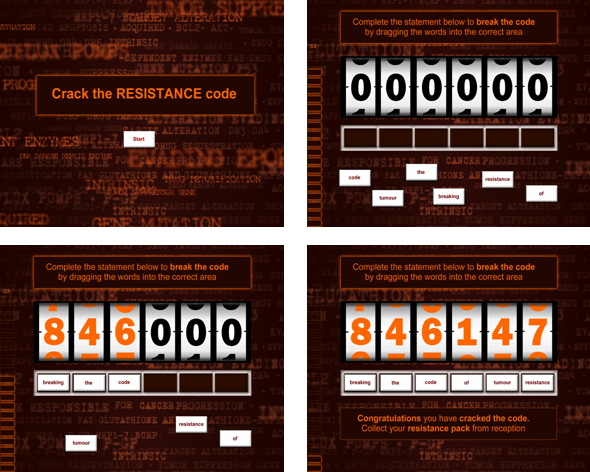 Design of interactive game “crack the resistance code” and order form to be used on touch screens on the BMS exhibition stand.